Samsung last year trademarked the Galaxy Watch and Galaxy Fit names. At the time, we suggested that the company may be looking to rebrand its wearables lineup from 'Gear' to 'Galaxy', which is a moniker broadly associated with Samsung products. The process of rebranding began with the Galaxy Watch later in the year, but the Gear Fit successor was nowhere to be seen. 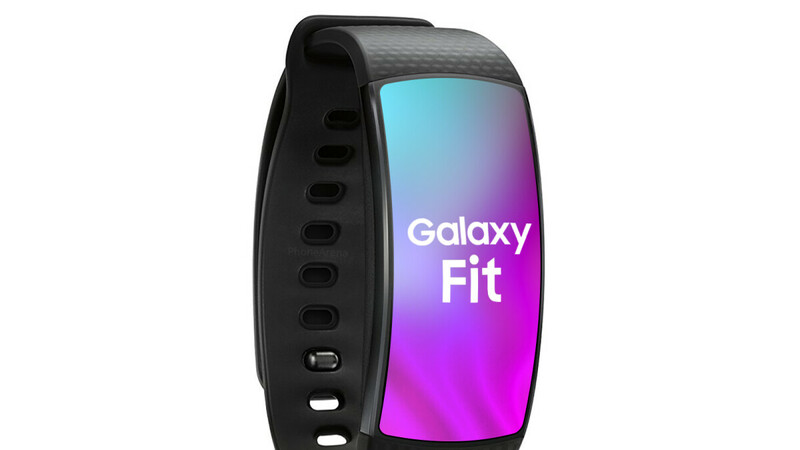 Well, it seems like Samsung is finally ready to launch a fitness tracker under the moniker 'Galaxy Fit.' Two Galaxy Fit models have been registered, model numbers SM-R370 and SM-R375, both with Bluetooth 5.0 support. One of them is listed as 'Galaxy Fit e' as spotted by SamMobile, while the other is simply called 'Galaxy Fit'. It's currently unknown what the extra letter stands for, but it could indicate that one of the models will have support for eSIM. Another new wearable product from Samsung that just got certified are the (tentatively called) Galaxy Buds – a successor to the 2018 Gear IconX. Not much is known about them at this point, but they were just recently listed on the Bluetooth SIG website with a model number SM-R170. What we know is that they are going to support Bluetooth 5.0 and come with 8GB of internal storage, which is rather curious, considering that no previous Gear product — including fitness trackers, earbuds, and smartwatches — has had this much memory. Interesting to see what Samsung intends to do with the storage, and if it's going to play into saving personal data on the earbuds. Apple is heavily rumored to be working on a second generation of AirPods — tipped to launch in the first half of 2019 — with new health monitoring features on board. It's currently unclear what health tracking features Apple intends to introduce with the AirPods 2, but over the past couple of years, it has become increasingly important for all wearable devices to offer some sort of health monitoring. This became especially clear with the launch of the Apple Watch Series 4 last year, with its innovative ECG feature. As to when we'll hear from Samsung about the Galaxy Buds and Galaxy Fits, there could be an official announcement during the February 20 Galaxy S10 Unpacked event (unless the company decides to postpone the reveal to a later time). I won't even look at these new devices if they don't support MST. These earbuds don't even have enough battery to listen to music. I don't understand why these companies keep adding useless health monitors on them when they're also selling fitness focused watches.